It’s a sentence that comes up regularly in ORB’s articles or in different posts on the forum. I must admit that it’s something which I had never really thought of but it really struck me when I read it for the first time. Maybe that does not seem to be a big secret or a great truth, but I think that it is something very important to consider if we want to advance both spiritually and physically. We can also deduce that each of our actions, words and thoughts are energy. Of course I have no claim to be an expert, but here are some thoughts on this subject. Each of us have a personal potential energy. 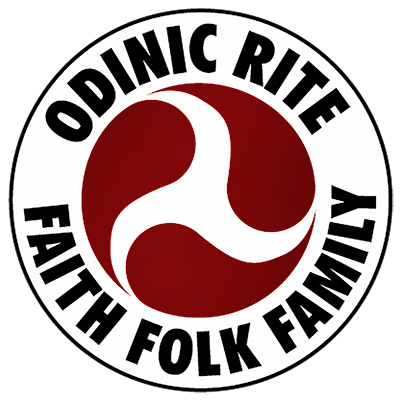 I think that as Odinists, we can call this concept “Ond”. I think the amount of energy we have at our disposal is determined by various factors such as our heritage, how we use it, if we use techniques to increase it, etc. So, the amount of energy that we have is determined by factors belonging to our past and our present. Before we can start a new activity (both spiritual and physical) we must first of all have enough energy to do so. Unfortunately we can easily see that we often lack the energy to carry through our projects. But, why? If we take the time to make a sincere analysis of our behaviour, we can see that we waste a lot of energy by doing things automatically, without thinking. By ending some of these “automatic” activities, we will keep our energy for new activities, or for more valuable activities. The most common wasting of energy are: smoking, alcohol consumption, disputes, too much sleep, judging others, criticism, condemnation, lamentation, the fanciful identification (pretending to be a warrior Viking), the importance we place on ourselves, etc. These are just some examples and there are of course many others. If we take the time to observe ourselves honestly, we can see how much energy we spend by being in anger, envious, jealous, by criticizing others etc. We can see how much energy we spend to pay attention to our image, to respond to criticism that we receive from others, to try to show that we are the best, the most beautiful, the strongest or the most miserable etc. Here is a little exercise you can do for a week, which will help you to realize how much energy you spend automatically, without thinking and without you realizing it. For this exercise you will need a sheet of paper, a pen and a timer. An egg timer is perfect, because you can simply twist the top half of the ‘egg’ at a random time, so you will not know when the timer will ring. But you can also use another type of timer, a mobile phone with a timer for example. Draw three columns on the sheet of paper. At the top of the first column write: What I was thinking about? At he top of the second column: What I was doing? And in the third column: Is that what I wanted to do? Set the timer at a random time (egg timer) or at 30, 20 or 15 minutes. Each time the timer rings, take the time to observe yourself during a moment and answer, in the order, at each of the three questions on your sheet. Do not try to analyse, answer simply to the questions briefly and concretely. I think at the end of the week you will really be surprised by the results. You will realize that you lose a lot of time doing things automatically, without wanting them or even without thinking. How to fix this? In a way which may seem very simple, but which requires in fact a lot of will and discipline: by being aware of what we are doing now, by living the present moment, and not in projecting ourselves incessantly into the future or into the past. Your observations will also surely show that we lose a lot of energy in making judgements about ourselves or about the others. To economise our energy and to preserve our well-being we can also try this technique. Try not to waive this rule for three days: DO NOT CRITICIZE, DO NOT CONDEMN, and DO NOT COMPLAIN. Once again, this may seem very simple, but it’s really not. Try and you will see. You will realize that we lose so much energy that way. We also lose a lot of energy by our habits related to speech. It may therefore be interesting to start a period of ” talk fasting”, a period of silence. It’s also very good to just think twice before speaking. This is an aspect that Heimgest has developed in his article “Increased Hearing Through Silence”, an article that I strongly recommend reading. In this article, I briefly touched on the subject of energy and personal energy. This is a subject on which there is still certainly many things to write. I would try to develop this subject in other articles, because it is a subject that I find fascinating and really important if we want to advance both spiritually or physically.